Wouldn’t it be nice to improve the appearance of your skin, hair, nails and body shape while also enjoying better joint and digestive health? If that tingles your interest, then you want to check out collagen protein. In this evidence-based article, you’ll learn how collagen protein can deliver such life-enhancing benefits, and how to get the most out of this nutrient. Besides, you’ll discover the three best gelatin protein powders, so you can pick the one that best fits your personal needs and situation. Let’s dive in! In a rush? Jump straight to our choice for The Best Collagen Protein Powders! ​Collagen is the most plentiful protein in your body and is found in nearly every tissue, including your muscles, bones, tendons, and skin. Therefore, getting enough of it is crucial for your health and well-being. In total, there are at least 16 types of collagen. Collagen type I, however, is the most abundant one, along with type II, and III making up around 90% of all bodily collagen (1). 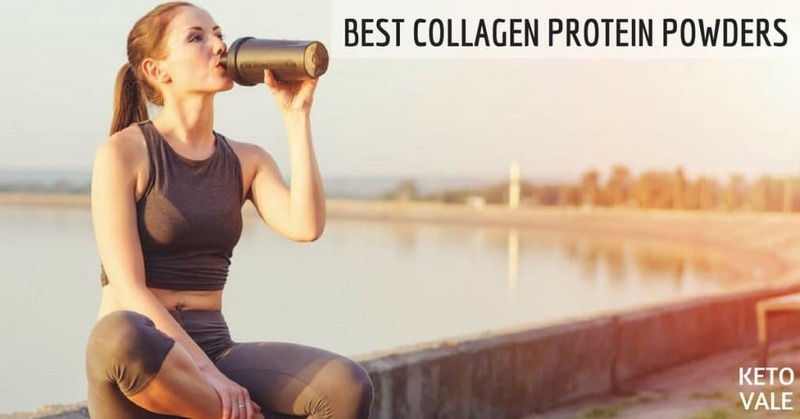 This type of collagen plays a crucial role in the structure and strength of skin, teeth, fibrous cartilage, tendons, and connective tissues. Think of it like the glue that holds your body together. How can you make sure you get enough collagen? Well, the best way is by consuming organ meats and connective tissues, as those are the richest dietary sources of collagen. But since most of us rarely eat these parts of the animal, we tend to under consume collagen, which can impair health and well-being. Collagen is made up of roughly 90% protein. And since protein is highly satiating, adding extra collagen to your diet can satisfy hunger, decrease total calorie intake, and thereby aid weight loss. For example, one study found that when subjects raised their protein consumption from 15% to 30% of their daily calorie intake, they unconsciously consumed, on average, 441 fewer calories per day. This led to an average weight loss of 11 pounds in just 12 weeks! (2). And while “regular” protein effectively curbs hunger, collagen protein is even more satiating. Thereby, collagen protein should be even better at helping you obtain and maintain your ideal body weight (3). Consuming collagen can improve the radiance of your skin by increasing skin moisture and collagen density. The overall collagen content of the skin surface declines 1% per year (4). When the main collagen in your skin (type I collagen) declines, your skin becomes wrinkly, saggy, and you start develop cellulite. Supplying your body the collagen it needs can help reduce the appearance of cellulite. Collagen can prevent intestinal damage, improve gastric acid secretions, and enhance the lining of your digestive tract. As a result, you'll enjoy better digestion and nutrient absorption and decrease your likelihood of suffering leaky gut and digestive problems such as acid reflux, indigestion, and bloating. Because collagen is one of the best sources of the amino acid proline, which is crucial for the stability of collagen in your joints, adding it to your diet can aid joint health. So, if you currently suffer from achy joints, increasing your collagen consumption may alleviate your discomfort. Research published in the Journal of Applied Cosmetology found collagen supplementation improved hair growth and thickness (5). The importance of collagen in aiding the recovery and growth of muscles is well-known among athletes. And since collagen consists of nearly 90% protein, adding it to your diet can support muscle growth and recovery as well as improve athletic performance (6, 7). Collagen is loaded with the amino acid glycine, which reduces anxiety, promotes calmness, and improves sleep quality. Besides, one study published in the Journal of Cell Biology found collagen can promote the formation of neural synapses, and thereby potentially protect you from schizophrenia (8). Collagen loss can occur because of internal and external circumstances. Internal and natural causes includes aging, eating a high-sugar diet, nutrient deficiency or genetic susceptibility (9, 10, 11, 12). Therefore, to maintain our collagen level and optimal health, we need to supply our body the collagen it requires by eating collagen rich foods and adding collagen supplements to our diet. The easiest and most convenient way is to supplement with collagen protein powder supplements. Unhydrolyzed collagen protein is the non-processed form of collagen. The amino acids in this collagen protein are in their full-length form and tightly twisted into each other. This makes unhydrolyzed collagen protein very strong and durable. After all, this form acts as the glue that holds your body together. But since unhydrolyzed collagen is so tough, we can’t effectively break it down and use it. That’s why this form is ineffective as an oral supplement. Collagen peptides, also known as collagen hydrolysate, have a higher bioavailability compared to both unhydrolyzed collagen protein and gelatin. The reason is that collagen peptides have undergone hydrolyzation, a process that breaks down the amino acids into smaller molecules. As a result, collagen peptides are better absorbed into your bloodstream and are better able to provide you with a myriad of health benefits. If you’re looking for a collagen supplement, it’s best to choose a product that contains 100% collagen peptides. Gelatin is collagen protein that has undergone partial hydrolysis, leaving a gel that only dissolves in hot water (so it’s not optimal to use in smoothies). Because gelatin has undergone partial hydrolysis, the peptides aren’t entirely broken down and thereby not as well absorbed as collagen peptides. Since the chains of the amino acids in gelatin are only partially hydrolyzed, this product can cause water retention. That’s why consuming gelatin can lead to intestinal discomfort and bloating. Bottom line: When choosing a collagen product, choose one that contains collagen peptides (collagen hydrolysate). This variation has a superior absorption rate and can best provide all the fantastic health benefits collagen has to offer. Most collagen protein powders on the market are of terrible quality and contain compounds that can actually hamper your health and well-being. Why? One of the main reasons is that most powders are derived from grain-fed chickens that are stacked tier upon tier in barren battery cages smaller than an A4 sheet of paper. Not only is it terrible and shameful to treat animals in such an awful way, but these high-stress environments also impair collagen quality and integrity. Besides, many products are loaded with sugar, fillers, binders, sweeteners, and coloring agents that mar ketosis and health. Collagen peptide protein powder must meet a few criteria to optimally supply you with the fantastic health benefits this nutrient can provide. First off, the product should be derived from cattle (not chickens!). Why? Because cattle have a superior amino acid profile. It contains significantly higher amounts of the amino acid glycine, which promotes calmness, improves sleep, and reduces anxiety along with many other health benefits (13, 14, 15, 16). Besides, cattle collagen contains a lot more proline, an amino acid that aids the production of hydroxyproline, which your body needs to make collagen, tendons, ligaments, and heart muscle. Secondly, the collagen must come from grass-fed or pasture-raised cattle. Not only does this mean the animals live in better conditions, but it also improves the quality of the collagen. Thirdly, the product must be free of soy, binders, sweeteners, and coloring agents. 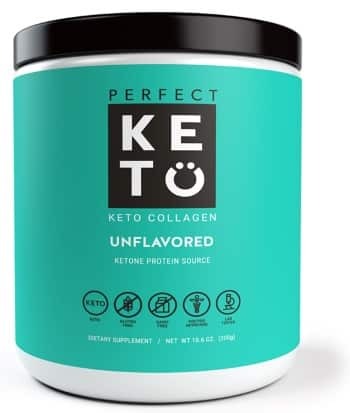 If you are following a low carb ketogenic diet, your collagen supplements need to be keto-friendly and made with real ingredients and flavored with real foods, not cheap artificial flavors. The following three products are the best of the best when it comes to collagen peptide protein powders. 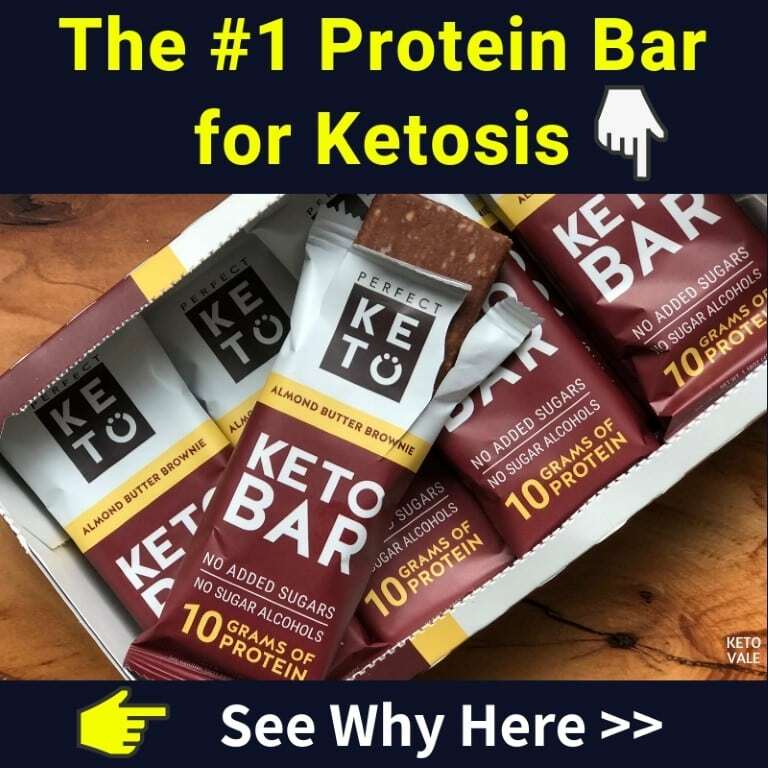 They are all derived from cattle that are grass-fed (and partly pasture-raised), are additive-free, are keto friendly, and are made up of 100% pure collagen peptides. Below you will find the best collagen supplement brands we have researched and selected for you. Vital Proteins offers a high-quality, non-GMO collagen peptide protein powder. It's derived from cattle that are pasture-raised and grass-fed, which gives the product its excellent amino acid profile. With its high glycine content – each serving delivers you a whopping 3,719 mg of this amino acid – this product is excellent for supporting joint and digestive health. Another fantastic feature of this product is that it's soluble in both hot and cold liquids. ​MAV Nutrition offers collagen peptides of the highest quality. Their product is Non-GMO, all natural, made in the USA, water-soluble, and derived from cattle that are grass-fed and pasture-raised. Especially if you're new to collagen protein powder, then the protein collagen peptides by MAV Nutrition are an excellent choice. It keep​s you feeling full by act​ing as a natural appetite suppressant​. You can take it before a workout ​to maintain healthy strong, lean muscle. ​The great news is that they offer you a 60-day money-back guarantee allowing you to try collagen peptides risk-free to see how they benefit you. 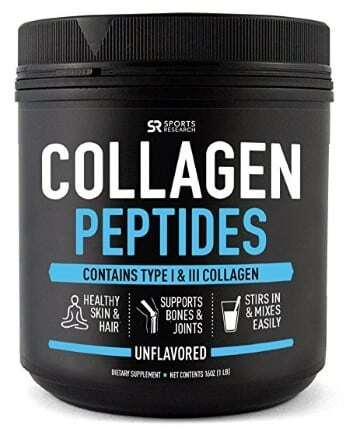 ​You can’t go wrong with the collagen peptides by Sports Research. The product contains collagen peptides of the highest quality that easily mix in both hot and cold liquids. So you can add them to soups, sauces, yogurt, oatmeal, smoothies, or any of your favorite meals. 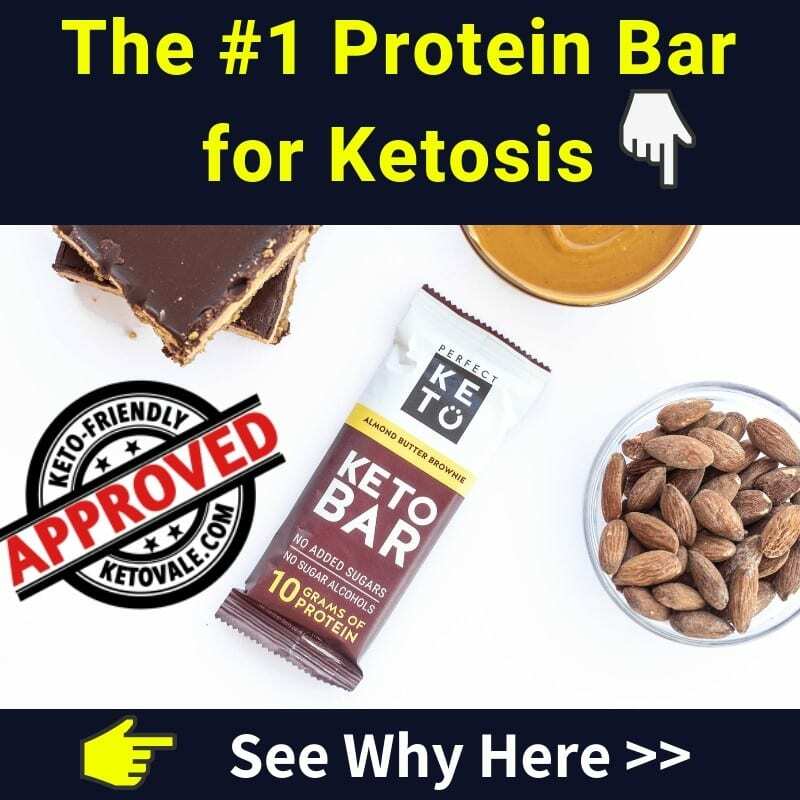 What sets this product apart is that – contrary to nearly all products on the market – this one is non-GMO verified by the IGEN program and 3rd party certified by the Paleo and Keto Foundation. Besides, the manufacturers back you with a 90-day satisfaction guarantee. So, if you don't see results within 90 days, you can claim a refund. The three products outlined above fit a ketogenic diet perfectly. They are made of 100% pure collagen peptides and contain no sugar or other additives. However, if you’re ready to kill two birds with one stone, then you may want to consider getting the protein powder by Perfect Keto. Why? Because it not only contains collagen peptides of the highest quality, but each serving also delivers 5 grams of pure MCT oil powder. It is easily digestible and supplies your body with instant energy. Besides, the MCTs slow protein’s absorption rate, which reduces the rise of blood sugar levels associated with the macronutrient. As a result, you’ll be better able to obtain and maintain a state of ketosis, and you’ll enjoy more stable energy levels. And when it comes to taste, this product by Perfect Keto definitely ticks the boxes. It’s flavored with cocoa and stevia leaf powder, which makes the product taste like a delicious drink of chocolate milk. Don't forget to use our coupon KETOVALE at checkout for 20% discount! ​​​Relatively expensive because of unique formula for keto. You can replace your existing protein powder with collagen protein in your drinks and recipes. It can be added to your hot/cold coffee, water, smoothies, soups, protein shakes, and low carb cereals. You can also use these collagen powder to make keto-friendly protein bars. Adding extra flavors such as coconut flour, shredded coconut, chocolate, nut butter, etc... The options are endless. What’s the best time to take collagen powder? You can use it anytime throughout the day to feel full and focused all day. You can add it to your lunch/afternoon snack to maintain a healthy energy level. It can also be used before you exercise as a pre-workout supplement, during, or after your workouts for an energy boost and fast recovery. If you want more radiant skin, better digestion, less joint pain, stronger hair and nails, and a more appealing body shape, then you want to supplement with collagen protein. The problem? Most collagen products on the market are not absorbed efficiently because they contain unhealthy chemicals and are derived from animals living in terrible conditions. Fortunately, not all products are of such low quality. There are four excellent options you can choose from to enjoy the myriad life-enhancing benefits of collagen protein. Which one do we recommend? 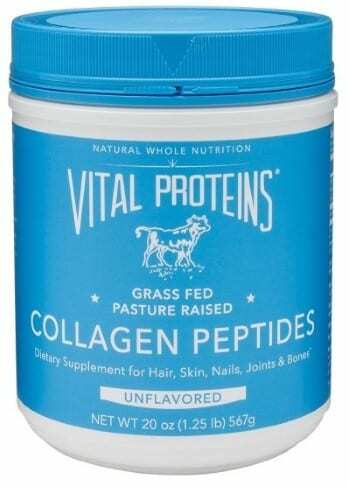 Well, if you're looking for a 100% pure collagen peptide product of the highest standard – meaning it’s non-GMO, free of fillers and harmful chemicals, and is derived from grass-fed, pasture-raised cattle – then we highly recommend the collagen peptides by Vital Proteins. You can boost your health and learn more about the high-quality collagen peptides by Vital Proteins by clicking the red button below.